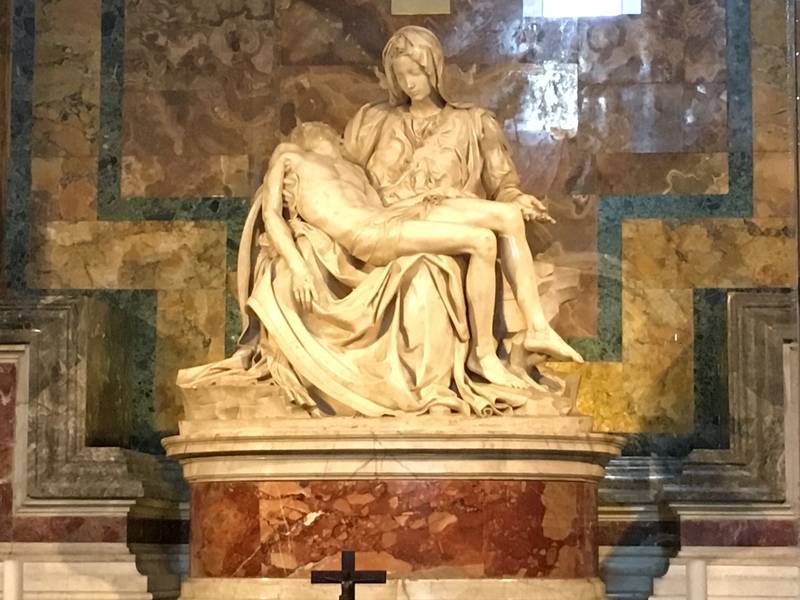 Michelangelo’s stunning Pieta. St. Peter’s Cathedral. Rome. On the Italy tour.